If you are interested in a career as a pharmacist in the United States, you must graduate from pharmacy school and obtain a Pharm.D degree. However, as few as a quarter of all applicants are accepted at many pharmacy schools. If you are interested in this profession, you should take steps to maximize your chances of admission. Pharmacy school consists of two years of undergraduate (pre-professional) college coursework, plus four years of pharmacy school (professional education). The degree required for pharmacists, which is obtained by successfully graduating pharmacy school, is a Pharm.D. degree (Doctor of Pharmacy). While it is common for most students to enter pharmacy school after two to four years of college, there are some pharmacy schools that admit students immediately out of high school. These programs are called "0-6" programs, and they enable students to complete their undergraduate degree and pharmacy degree all within six years of graduating high school. There are only seven such programs listed on the American Association of Colleges of Pharmacy (AACP) website as of 2018. In addition to the 0-6 programs, there are also early assurance programs and some accelerated programs. Early assurance programs are for selected high school students who enroll and successfully complete the first two years of pre-professional study. They are then guaranteed admission to a four-year pharmacy program. The accelerated pharmacy schools confer a degree after three years instead of the usual four. There are 13 accelerated programs recognized by the AACP on their website as of 2018. The American Association of Colleges of Pharmacy (AACP) is a great resource for information about pharmacy school and provides these tips. It is ideal to build a foundation for pharmacy school with a "comprehensive and balanced" high school and undergraduate (college) curriculum that is strong in math and science. You can check the pharmacy pre-requisite information for each pharmacy school on the Pharmacyforme.org website from the AACP. Ask pharmacy students which courses they suggest to prepare you for pharmacy school. Experience working with patients, either on a volunteer basis or paid, is recommended to help make your application more attractive to pharmacy admissions committees. Get to know the daily routine of a pharmacist by talking with one and asking to shadow one during a typical workday. Get a part-time or summer job or volunteer position in a pharmacy. 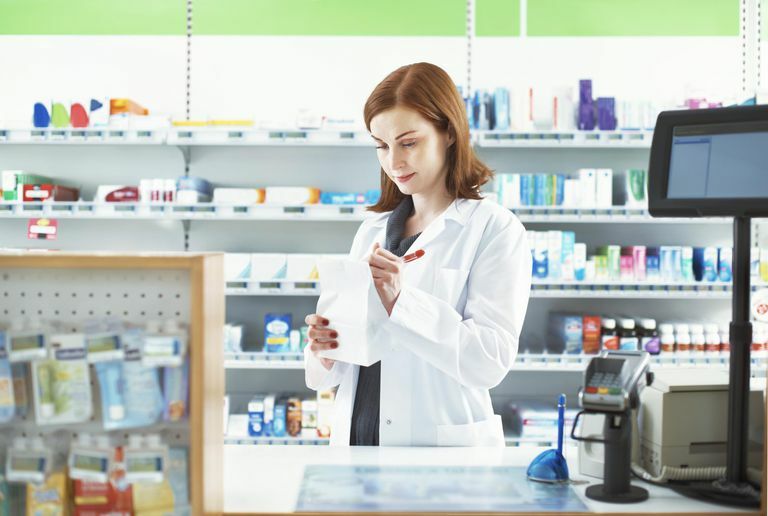 Even if you are a cashier or clerk, this will help you understand more about the daily operations of a pharmacy and what a career would be like in this setting. This sort of experience reflects well on your admissions application. Letters of recommendation are required by most pharmacy schools. Requirements vary, but anywhere from one to four letters may be required. The acceptance process will include an onsite interview, which will evaluate communication skills, interest level, knowledge of the industry, motivation, and problem-solving skills. The more direct experience you have in a pharmacy setting or a clinical setting working with patients, the easier it will be for you to respond to the interview questions, most likely. While there is no one standardized application process for all pharmacy schools, about two-thirds of pharmacy schools utilize the Pharmacy College Application Service (PharmCAS). The test required for admission to pharmacy school is the Pharmacy College Admissions Test (PCAT). The AACP website includes tips for registering and completing the exam. Acceptable scores vary by pharmacy program, as do minimum GPA requirements. The AACP recommends consulting the websites of your desired pharmacy programs to confirm each school's admission requirements. Use the resources at the Pharmacyforme.org website, including a free monthly newsletter. These are just a few of the tips provided by the AACP. Visit the AACP website for step-by-step guidelines that will help walk you through the admissions process, including evaluating program options and registering for the PCAT.